The government agency believes that smuggling is behind the 76 percent decrease of its sales this year and they are tapping with law enforcers nationwide to address the problem. 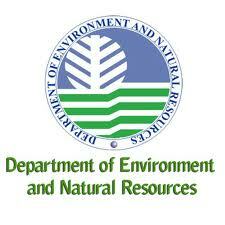 “We’ll run after those responsible for such drop in gold sale,” DENR Sec. Ramon Paje declared during a press conference in Metro Manila on Thursday, December 8. Reported data from the Mines and Geosciences Bureau (MGB) for 2011’s third quarter has shown the BSP’s gold purchases from small-scale miners declined 76 percent, from 7,166 kilograms in 2010 to 1,722 kilograms in 2011. Accordingly, gold sales also dropped from Php 3.55 billion from Php 12.32 billion during the reference period, MGB said. According to Paje, the DENR would provide the required information to law enforcement agencies concerned so measures to address the problem could be identified and implemented soonest. The Bureau of Internal Revenue (BIR) earlier issued Revenue Regulation 7-2008 covering taxation on sale of gold and other metallic mineral products extracted or produced by small-scale miners to BSP. The regulation requires imposition of two percent excise tax and five percent withholding tax on gold for anyone that produces and sell it to BSP. Lesser gold sold to BSP means lower taxes for government. DENR suspects tax evasion is the reason for gold smuggling. Paje said through smuggling, gold was traded in the black market tax-free. “Parties involved need not pay tax if they don’t sell to BSP,” he added. Hoarding is an unlikely reason for gold’s dipping sale to BSP since small-scale miners aim for converting their products to cash as soon as possible, Paje said.